Welcome! My name is Dr Sabe De and I am a cardiologist based in Nova Scotia, Canada and a huge fan of all martial arts. I am a 1st dan in Shotokan karate and a blue belt in Brazilian Jiu-Jitsu (BJJ). 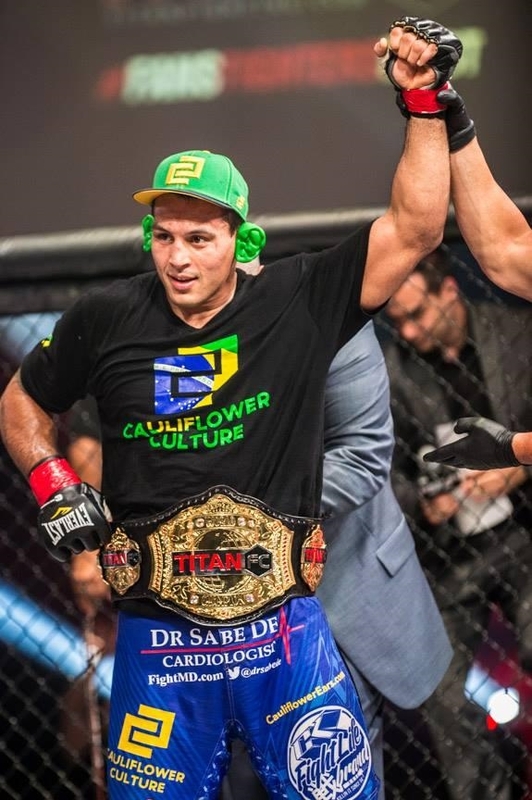 I sponsor several MMA fighters, and have been a ringside physician for the Canadian National Amateur Boxing Championships in 2012. As a fan, I have attended over 15 live UFC events and recently had the honor to be a ringside physician during UFC Fight Night 54 in my hometown Halifax, Nova Scotia. Please feel free to leave comments on my blog or email me particularly if you have any questions or topics that I can blog about. And of course....thanks for stopping by! Meeting Larry Holmes at the 2012 Canadian National Amateur Boxing Championships where I was a ringside physician. 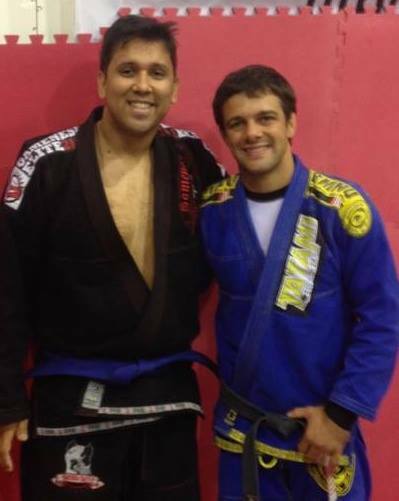 Receiving my blue belt in BJJ from Nova Uniao's Robson Moura in October 2013. My belt promotion was featured in Jiu Jitsu magazine!